Peak 10182 is located northwest of WCP-8. 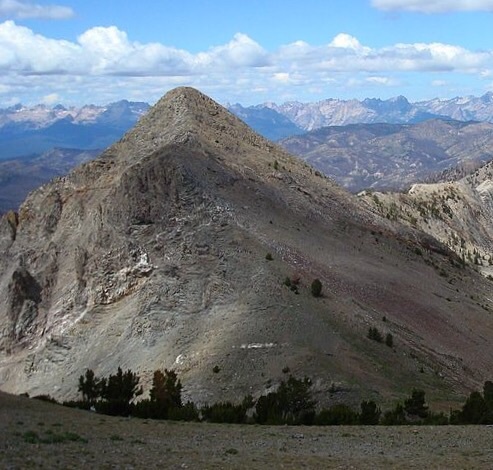 This beautiful Peak is remote and seldom climbed. Livingston Douglas provided new route details which are set out below. His climb was likely a first ascent of the Northeast Ridge. 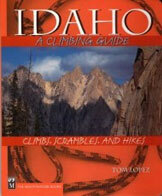 Also, use the link below to read Dave Pahlas’s trip report. Climbed this peak on 8/31/16. 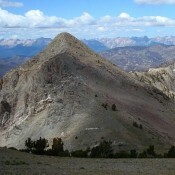 This peak is 0.5 miles due west of Point 10244. If you ever decide to do the ridge traverse from WCP-7 to WCP-8, add this beautiful peak to your agenda. That’s what I did. I climbed the Class 3 North Ridge Route on WCP-7 (O’Calkens Lake Approach) then descended the South Ridge of WCP-7 to a minor saddle N of Point 10244. White Cloud Pyramid is now due SW. From here, descend SW on gravel scree and tundra to a gentle saddle (9,740′) that sits directly underneath the NE Ridge. Climb the NE Ridge, staying just to the climber’s right of the ridge crest. Goat trails here will help you. Finish off the peak with some easy Class 3 scrambling near the summit. The summit is a small, rocky perch with no signs of previous ascent. I built a good-sized cairn on top that is clearly visible from the WCP-7/WCP-8 ridge. This peak is almost a perfect pyramid in shape and stands out because it sits back from the primary WCP ridge; it’s not just another “bump on the ridge”–it has its own unique identity. It took less than an hour (RT) to add this wonderful peak to that day’s accomplishments. Retrace your steps back to the saddle S of WCP-7, re-climb the S Ridge, descend the N Ridge, then follow the climber’s trail back down to O’Calkens Lake.